Marijuana Stocks And Australia: Is The Next Boom Down Under? North American marijuana legalization has spurred global awareness for positive uses for the drug & for sales of it. Many companies operating in the US and Canada are finding new opportunities abroad. New legislation in Australia has helped open doors for import, export, research, development, and distribution of medical marijuana. Investors looking for new market opportunities may want to find cannabis companies operating in additional markets like Australia. As I've written in the past about marijuana stocks and market trends, Canada has been a large focus for many investors. The main reason is that according to the PM himself, Justin Trudeau, recreational cannabis use is set to be legalized by (or before) July. As of right now, Canada has issued 89 licenses to cannabis producers for its legal medical marijuana program, Authorized Licensed Producers of Cannabis for Medical Purposes (ACMPR). In addition to this, as it stands the North American legal marijuana market is expected to grow by a compound annual rate of 26% through 2021 according to ArcView Research. This would propose some $22 billion in annual sales, which is more than triple that of 2016's sales of less than $7 billion. There's no doubt that this poses a strong argument for investors to focus on marijuana stocks building their footing within the North American market. But as with all scalable industries, it's becoming more evident that the potential is being realized on a global scale right now and Australia could present early opportunities. 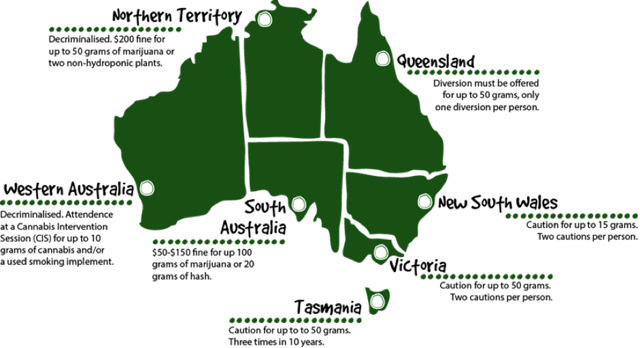 In fact, several marijuana companies are already building their branding outside of North America with the "land down under" becoming a larger focus. Unlike the US, Australia has recently won approval to become the fourth country in the world to legalize medicinal marijuana exports. Uruguay, Canada and the Netherlands have legalized the export of medicinal marijuana so far and Israel has expressed intent to join that list within the coming months. In fact the country's Health Minister Greg Hunt is aiming to make Australia a top supplier to some of the world's largest medical marijuana markets. Canada is already exporting its cannabis to places in Europe. In fact, at the start of the year, medical marijuana consumers in places like Prague had direct access to Canadian import, Tilray Cannabis, which is actually grown on Vancouver Island. As far as Australia is concerned, it is still in its infancy but for those investors looking to possibly get ahead of any pending move, it may be time to start looking at companies diversifying their business by opening divisions or acquiring producers in other markets like Australia. This isn't necessarily something to react to immediately as there are restrictions to Australia's licensing system that could back things up by about a year or so. But needless to say, the shift for some companies entering this market justifiably notes that this is an early stage opportunity. "There will be more cannabis used in Australia and overseas over the next 10, 20 and 50 years but it is not clear that any of the local market can capture that, let alone make money from it," Scott Phillips, director of research at investment company Motley Fool said in a statement. The country already produces half the supply of legal poppies in the world, which in turn are then made into pharmaceutical opiates. In 2017 the country expanded its legal drug market by legalizing medicinal marijuana, so this is a very infant stage for the country itself. However, the move triggered a gust of IPOs, reverse mergers, and new joint venture partnerships within the market. Now some of the bigger companies are not only taking note but are also starting to get much more involved to gain immediate exposure. Marijuana Stocks That Are Going "Down Under"
Take for instance Canopy Growth (TWMJF). This company seems to have become a cornerstone for the marijuana industry ever since beverage distribution company, Constellation Brands (STZ) made an investment into the company. With growth on a global scale, Canopy Growth has taken a look into Australia's market and seems to have taken a liking to the country. In January, the company went further into this market by entering into a supply agreement with AusCann (OTCPK:ACNNF) where Canopy will be AusCann's main supplier of medical cannabis for the market in Australia. Furthermore, Canopy has already signed an MOE with the Victorian State Government to aid in research and development for the capabilities in the production of medical cannabis in Australia. "This agreement allows us to combine our expertise in medical cannabis with the world-leading bioscience research capabilities of Agriculture Victoria," said Mark Zekulin, President, Canopy Growth in a January 16 PR. Despite the fact that Canopy is making an open sprint to gain early market advantage, they aren't the only ones finding opportunity in this new arena. Some companies have already been prepping for global growth. Lexaria Bioscience (OTCQX:LXRP) was awarded a patent by the Australian Patent Office last year for its method of improving absorption, taste, and overall speed of onset for cannabinoid active agents in edibles. This may seem to be a simple patent but it covers and ultimately protects any IP related to the following: tea, coffee, cocoa powder, fresh foods and meats, dairy products, pastas, breads, seeds, nuts, spices, herbs, candies, flavorings. The company already has a similar patent in the US in addition to other patents pending in more than 40 countries to date. With plans on re-domiciling to Canada it would appear that more opportunities could be ahead for Lexaria. The company recently entered into a licensing agreement with a Canadian cannabis chocolate manufacturer that also manufactures chocolate retail products for international and domestic chocolate brands. Lexaria holds a technology called DehydraTECH™ that will allow for the cannabis in the confections to be better absorbed. 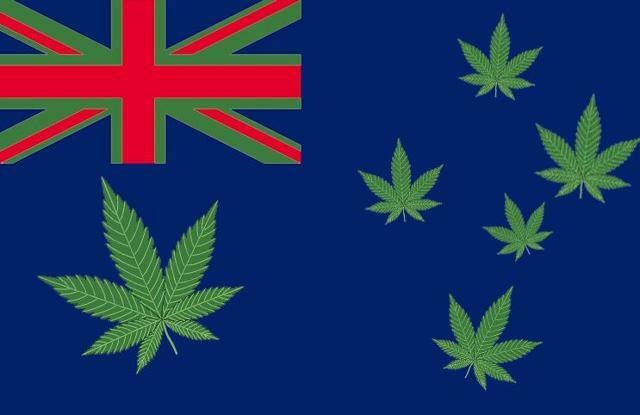 According to a statement from Australia's Minister for Health Greg Hunt's website, the decision to legalize medical cannabis exports "will help both the domestic supply and Australian producers by strengthening the opportunities for domestic manufacturers. We'd like to be potentially the world's number one supplier". So it does not come as a surprise that companies have begun to build the framework for expansion prior to this year's legislation. Aurora Cannabis (ACBFF) for instance, has been increasing its own investment into the Australian market for months. Less than one year ago, Aurora took part in the IPO of Cann Group Ltd. (OTCPK:CNGGF) securing a near 20% stake in the company. 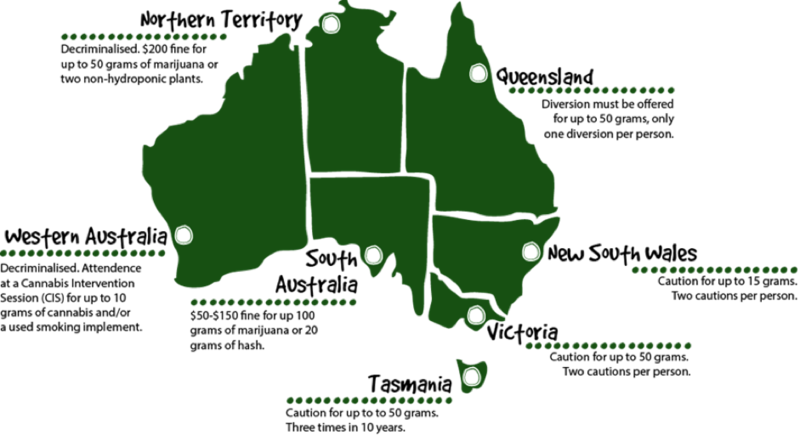 At the time, Cann was the first company in Australia to be licensed for research and cultivation of medical marijuana for human use. Further to this, the company increased its stake to just under 23% in December. Based on the initial investment, the value of the Aurora's investment has grown by as much as ten-fold. Cann has two small-scale facilities, and has commenced working on a Phase III, 172,000 square foot expansion and continues to raise funds to fuel its continued expansion. GW Pharmaceuticals (GWPH) has also established itself within the framework of Australia's budding cannabis marketplace especially for pharmaceuticals. In Australia and New Zealand the company's Sativex treatment has received marketing authorization and has even been considered as a viable treatment option for multiple sclerosis patients who have not responded to other anti-spasticity medication. The company has actually been conducting studies and engaging physicians in Australia well in advance of these latest developments in Australia. Higher efficacy was demonstrated in physician reports that focused on Epidiolex for treating epilepsy in 2015. As a global power, GW has continued to pursue opportunities both abroad and within the US. On Dec. 28 the company announced that the FDA granted Epidiolex priority review. If approval ends up going through, the drug will be used to treat patients with epileptic conditions related to Lennox-Gastaut syndrome and Dravet syndrome. 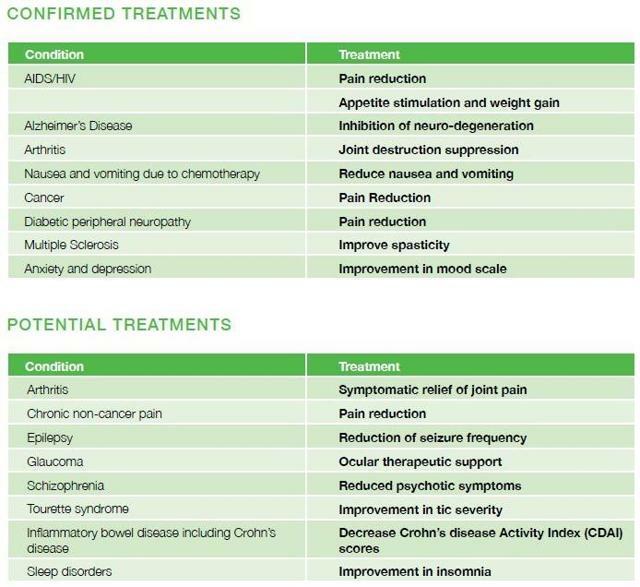 This would be a very significant step for GW Pharma as it basically outlines Epidiolex's potential to be the leader in a new category of anti-epileptic drugs based on pharmaceutical CBD. This would also be a major win for the cannabis industry as a whole that would prove the viability of things like medical grade CBD. United Cannabis Corp (OTCQB:CNAB) has also been in this part of the world for quite some time. In 2014 the company announced an agreement that would further the commercialization of the company's patented Prana Bio Nutrient Medicinals. United Cannabis has also expanded into Jamaica, Canada, and New Zealand. Harborside Health Association entered into an agreement with United Cannabis to license the company's methods of extracting, preparing, and using cannabis. Though this is a non-exclusive agreement, it could be the next stepping-stone for the company in continuing to prove their patented concept to enhancing delivery and bioavailability of cannabis. This essentially will expose United Cannabis' technology to some 300,000+ registered patients that Harborside has. Though Australia's chief commodity forecaster has not published statistical information on marijuana production, the University of Sydney estimates that the legal industry will come in around A$100 million ($78 million) during these earlier stages of growth. However, Grand View Research has come out to say that it's forecasting the global medicinal cannabis market could be worth $55.8 billion by 2025. This means that it isn't just about North America anymore as many other countries including Australia are starting to attract new investment at huge premiums. MedReleaf (OTCPK:MEDFF), for example, recently announced a bought deal financing for aggregate gross proceeds of over $100 million that it will use to further expand cannabis production and manufacturing facilities in places that have "federal legal cannabis markets." This comes after the company has already secured a foothold in Canada's legal market but also following an investment into Indica Industries Pty Ltd. The company has been granted a license from the Australian Government Office of Drug Control for the cultivation and production of medical cannabis. The joint venture partner known as MedReleaf Australia will expand the reach of MedReleaf (its parent) into the Australian market. The company is the first ICH-GMP and ISO 9001 certified cannabis producer in North America at this time. The nine figure bought deal financing could add to the company's global exposure especially considering that the company has also made comment to further investing into its Australian subsidiary in previous press releases. The same risks that exist for companies working solely within the US market simply do not exist for companies that are outside of it, which is why certain cannabis related companies could offer much more potential in the near term. Even with the Australian market having only several hundred patients prescribed to medical cannabis, the opportunity may be greater than local exposure. The real opportunity for companies could lie within the advantage that the country's exports will hold. New moves to legalize recreational cannabis could also equate to new opportunities for other countries to capitalize on lower global supply. New legislation is on the docket in even more areas around the world as national regulators recognize real applications for medical marijuana use. Even the World Health Organization recognized its legitimacy of the drug, which had been banned under international treaties for years. Medical research is forcing the hand for many countries as well. With companies like GW Pharma taking aim at a real alternative to standard treatments by utilizing the non-psychoactive pieces of the cannabis plant, it may be only a matter of time until we see a real push for marijuana legalization on a global scale. Scientists in Israeli like Raphael Mechoulam started to research the drug in the early 1960s. This has ultimately helped lead to the discovery of the human "endocannabinoid" system. Today, scientists have determined that cannabinoid receptors are holding a vital role in how the body actually functions. Certainly the immediate opportunity lies in places like North America but just like early adopters who saw opportunity before the major wave of investment hit the US in 2014, countries abroad could be presenting a similar opportunity right now. Further interest continues to spark marijuana companies that aim to diversify their market exposure. Where the argument was based on "US v. Canada," it could now come down to which companies are spreading their reach into new, burgeoning markets. Right now it would appear that Australia has begun to attract some of the world's leading cannabis companies so it would stand to reason that companies whose stocks are trading on an exchange are something to take notice of heading into 2018.